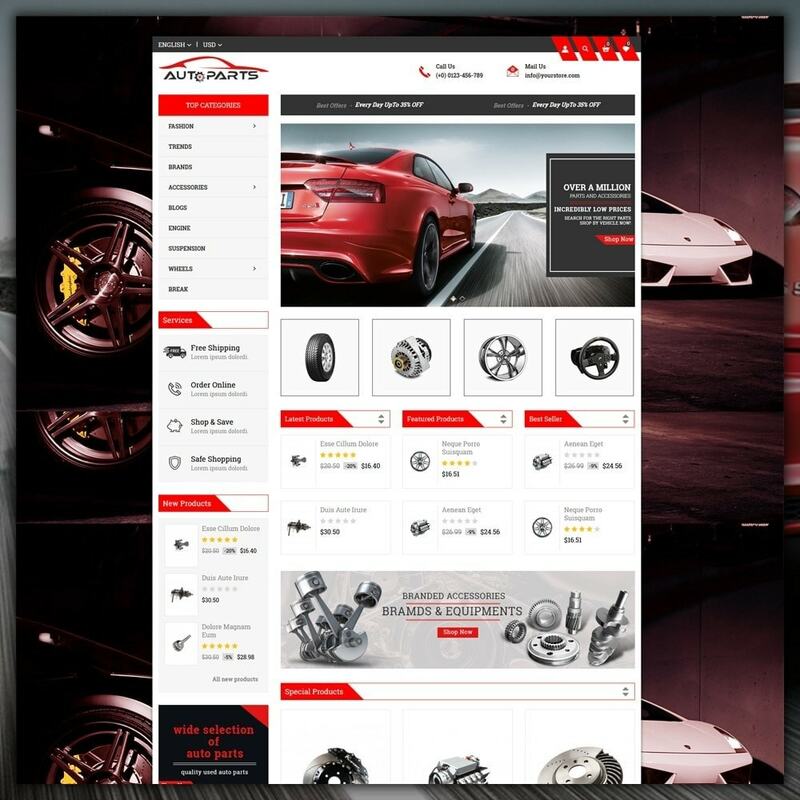 Auto Parts Store is a Responsive theme which will easily fits to products like Tools, Cars, Shoes, Watch, Kitchen, Accessories, Home and multi purpose store. 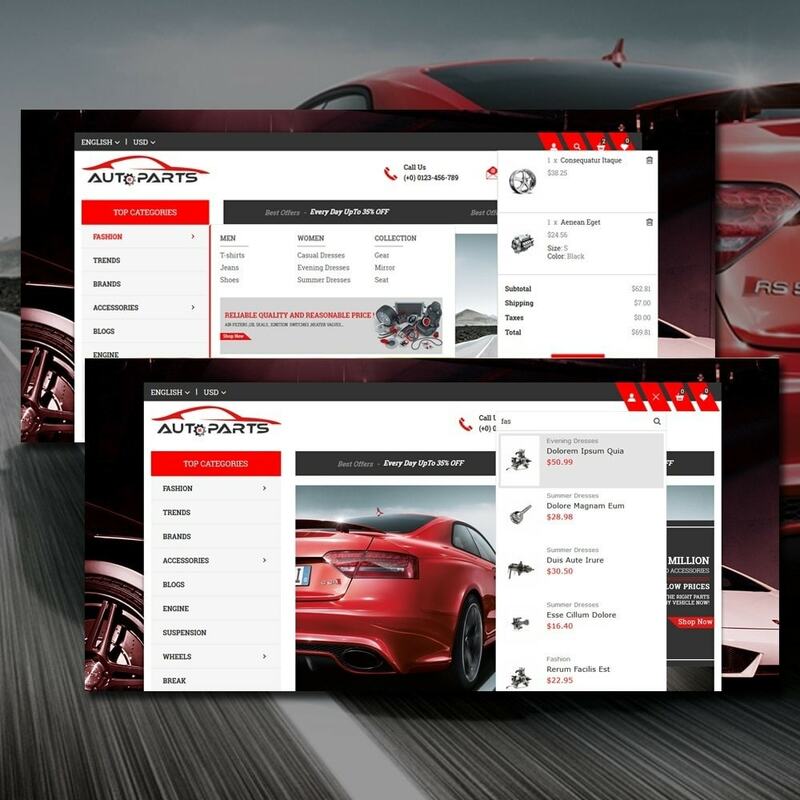 Theme is 100% responsive and supports all devices, user-friendly and looks professional. 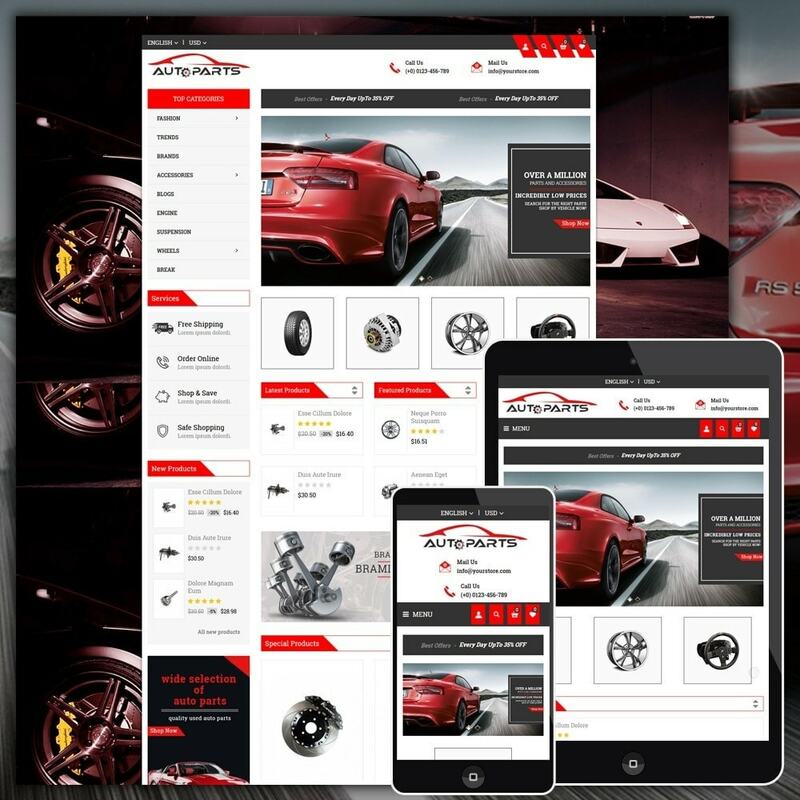 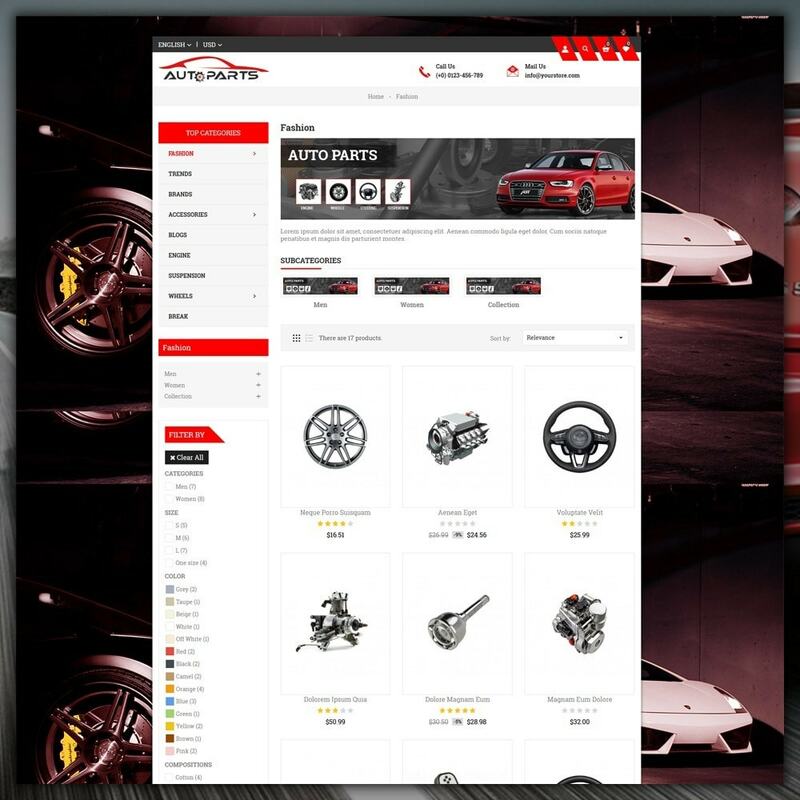 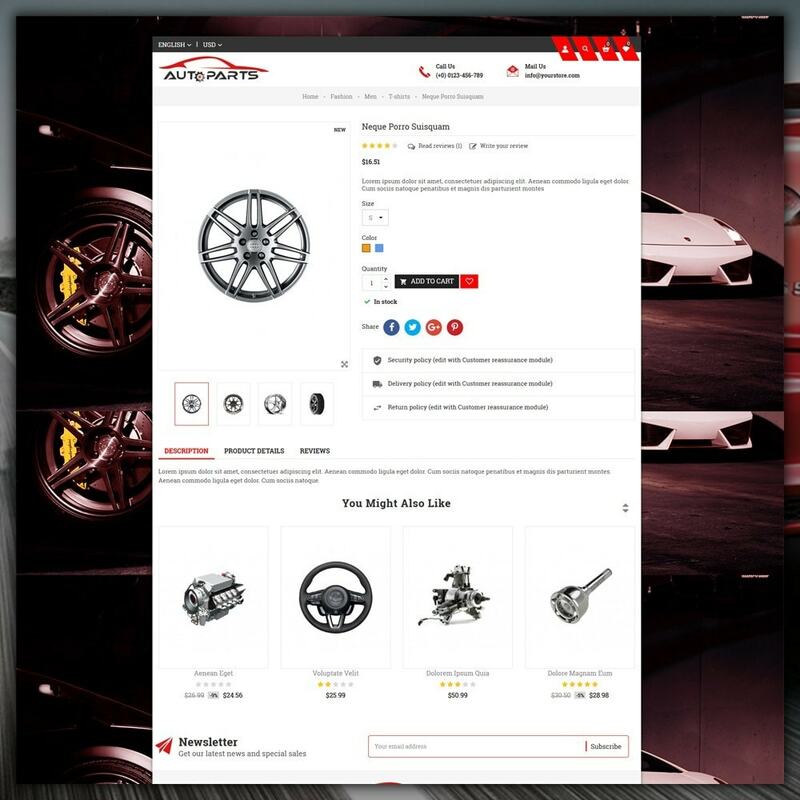 Auto Parts Store Responsive and user-friendly theme. 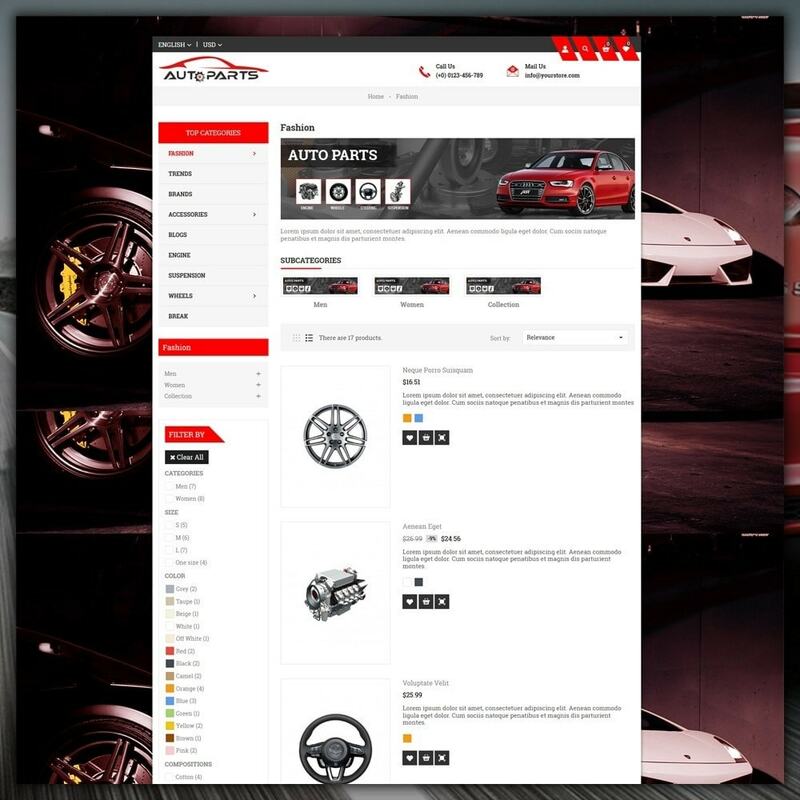 It is rich with powerful user friendly features that would attract more clients to your online store and boost sales!